Аннотация к книге "Forsyte Saga: The White Monkey"
It's 1922 and Fleur Forsyte is now married to Michael Mont. Fleur throws herself into the roaring 20s with the rest of London, taking life as it comes. But the marriage is haunted by the ghost of a past love affair, and however vibrant Fleur appears, those closest to her sense her unhappiness. Michael, devoted to Fleur but not blind to her faults, is determined to stand by her through anything. He also finds himself caught up in the tragic and poignant story of a young couple struggling for survival in an age of unemployment and extreme poverty. 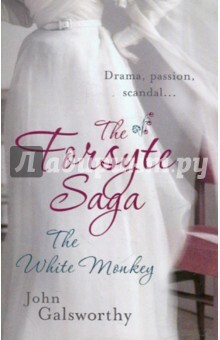 Книга Forsyte Saga: The White Monkey - John Galsworthy.